Chaya O Chobi Bengali Movie All Songs Lyrics With HD Video: Chaya O Chob is a 2017 Indian bengali romantic drama film directed by Churni Ganguly And The film illustrates love story with Abir Chatterjee, Koel Mallick, Ritwick Chakraborty, Priyanka Sarkar. The film's music Composed by Indradeep Dasgupta And All Songs lyrics written by Prasen & Srijato. Watch The movie trailer on YouTube. 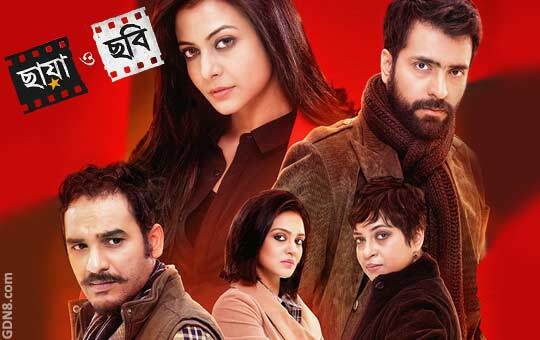 Cast: Koel Mallick , Abir Chatterjee, Ritwick Chakraborty , Priyanka Sarkar, Churni Ganguly Barun Chanda And Others.